Cilantro Lime Chicken Tacos involve a bit of prep work (slicing and dicing), but they are so addictively delicious! They are actually very easy to make and are worth the time that it takes. Laura discovered the recipe and highly recommended it to me. She used ground turkey, which is sometimes easier to find than ground chicken, and said it was great. Cilantro Lime Chicken Tacos was originally published in Nordstrom Flavors An Artful Celebration of Food, by Nordstrom corporate chef, Michael Northern. The recipe was recently recreated by the Nordstrom blogs editor, Jeff Powell. Jeff published it, along with his beautiful professional photographs, on The Thread. In his blog post, Jeff recommends using ground thigh meat because ground chicken that is 100% breast meat makes the filling too dry. If you can only find breast meat, he suggests grinding boneless chicken thighs in a food processor. I used Smart Chicken 95% lean ground chicken and it worked fine. It’s really the Cilantro Lime Vinaigrette that puts these tacos over the top. As the blog post on The Thread says, it is a “bold, well-balanced dressing that’s a little sweet, a little sour and a little spicy”. The original recipe uses corn tortillas that are fried to make taco shells. 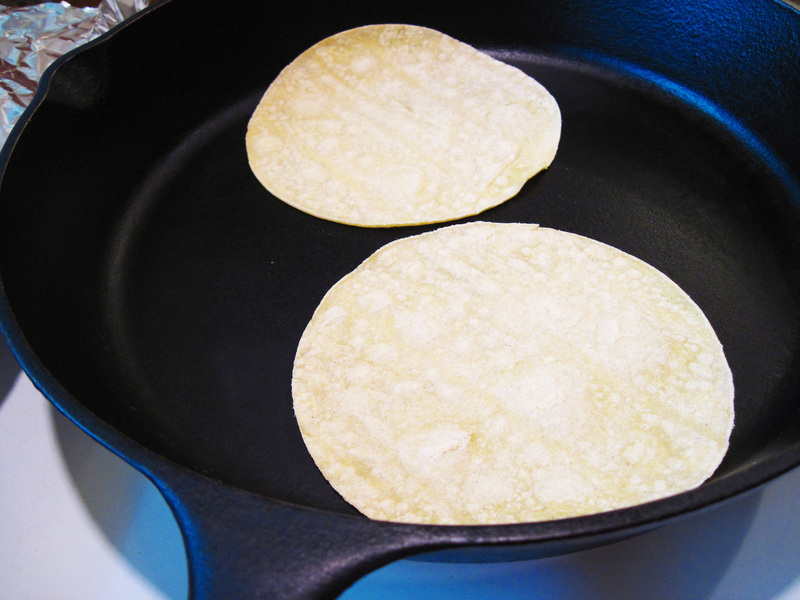 We prefer soft tacos, so I simply heated corn tortillas in a dry cast iron skillet. 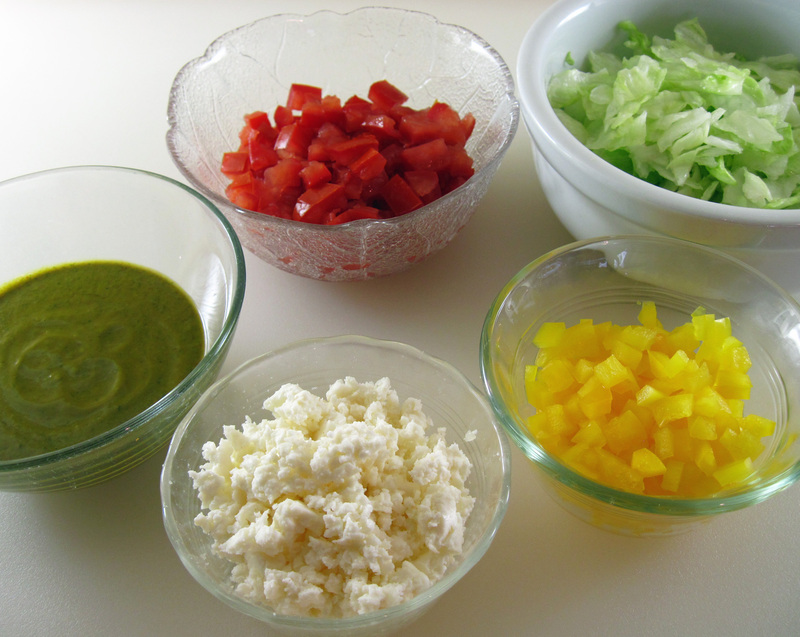 Hop on over to The Thread if you’d like to see how Jeff makes the taco shells. 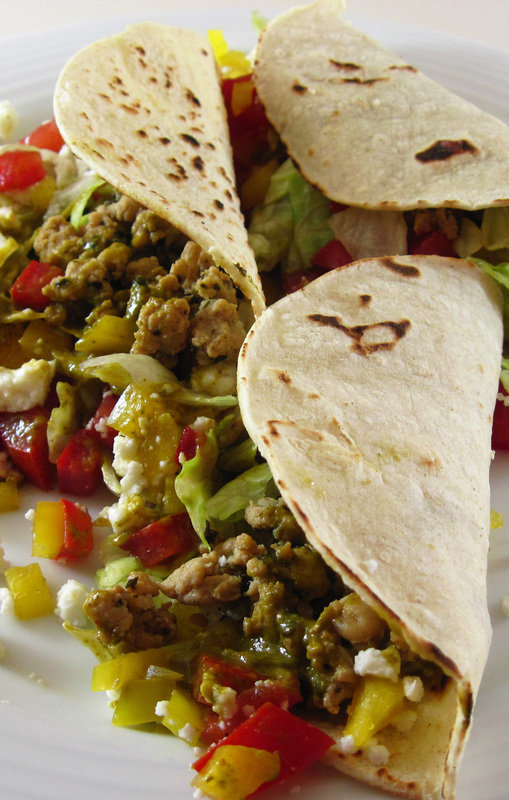 These Cilantro Lime Chicken Tacos definitely belong in my A+ Favorite Recipes category. In fact, just writing about them makes me want to make them again. Soon! When chopping the cilantro, there is no need to first painstakingly remove the leaves from the stems. Cut the bottom part that is mostly stems off and then just chop the remaining stems with the leaves. 1. In a blender or mini food processor, blend the first 6 ingredients for the vinaigrette. 2. With the blender or food processor running, slowly add the oil in a steady stream so the vinaigrette is emulsified. 3. Add the ½ cup cilantro to the vinaigrette and process until it is well blended with just a few small flecks of cilantro. Pour into a bowl and set aside. 4. For the chicken filling, heat the 2 tablespoons of oil in a large skillet. Add the chicken, ½ cup cilantro, garlic, salt, and pepper to the skillet. Cook, stirring and breaking up the meat as it cooks. 5. When the chicken is fully cooked (It takes 7 – 8 minutes. ), add the lime juice and soy sauce. Stir well and cook until the juice and soy sauce are almost evaporated, about 1 minute. Remove the pan from the heat. 7. 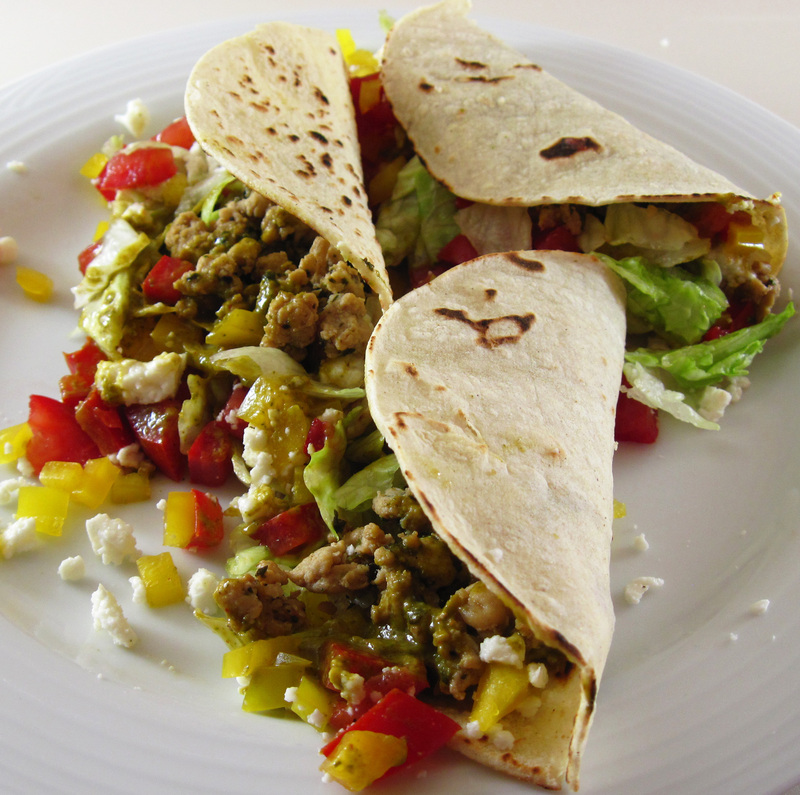 To assemble the tacos, put some chicken filling in each tortilla; top with some lettuce and then add about 1 tablespoon of the vinaigrette. Add some tomato and yellow pepper, some cheese, and a cilantro sprig. Offer the extra vinaigrette at the table for serving. Kath, I’m so glad to see you tried these tacos and enjoyed them as much as I did. A+ Favorite for sure. 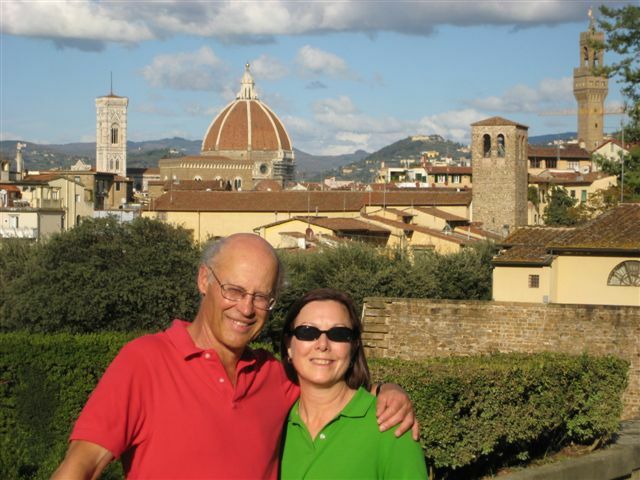 Thank you for sharing the love on your blog with wonderful photos! I so appreciate your comment, Jeff! It was an “aha” moment for me to realize that you recreated the recipe and took the gorgeous photos for the blog. I have updated my post to give you credit for your involvement. This recipe is definitely for cilantro lovers, Aaron. And you’re definitely not alone in the haters club. A New York Times article says even Julia Child hated it. I love cilantro!! The fragrances of the leaves are wonderful. I just made guacamole with 2 huge Tablespoons of cilantro. Yummy!